In recent past, one would have heard of Irma, Katie and Jose. Who could forget the havoc caused by Katrina in Texas! These are not women but hurricanes. Hurricanes have been named after women since the 1950s. After some feminist uproar they are being given boys’ names too. Let us see what a hurricane is, causes of it, what if storm surges, what happens when it moves to land, forecasting hurricanes and also the preventive measures to reduce the effect of it. We shall also discuss the Do’s after a hurricane. A hurricane is a powerful whirling storm that measures 320 to 480 km in diameter. The winds near the centre of a hurricane blow at speeds of 120 km/hr or more. They form over warm ocean water and weaken after moving over land areas. Most hurricanes occur in the North Atlantic and North Pacific oceans in in the equatorial zones. They are seen to occur from June to November. Hurricanes occurring in the western Pacific Ocean are called typhoons and in the Indian Ocean are cyclones. Causes of hurricane- how it develops? There are long narrow regions of low pressure that occur in ocean or ‘trade winds’. These regions are called easterly waves. These grow into a ‘tropical depression’ with winds of up to 50 km/hr and then into a ‘tropical storm’ with winds up to 120 km/hr. and finally into a hurricane. The hurricane winds swirl around the eye, a calm area in the centre of the storm. The eye measures about 32 km in diameter and has few winds or clouds. Storm clouds called wall clouds surround the eye. The strongest winds and the heaviest rain occur within these wall clouds. Hurricane eyes travel at speeds of 16-24 km/hr. In the Northern hemisphere the hurricane winds blow around the eye in an anticlockwise direction and in the southern Hemisphere in a clockwise direction. At first most hurricanes move in a westward direction, becoming larger and stronger. At the equator the hurricane turns and picks up speed. Once it reaches the temperate latitudes it moves east and end up as weak storm centres over cool oceans. When the winds in the wall clouds blow at speeds 210-240 km/hr, the combination of the winds, rain and the force of the ocean produces huge waves. These waves, known as storm surges, rise several feet above normal and cause floods on coastal areas. A storm surge is more destructive when it occurs at high tide. As the hurricane moves over land, winds and rain hit the area for several areas. When the eye reaches the area, the rain stops and winds calm. The rain and wind returns when the eye passes on. Hurricanes weaken as they pass over land. This is because they need to be fed by warm seas energy by evaporation. Friction over land also slows down the winds. Heavy rains continue even when winds slow down. Because of the severe destruction caused in the path of a hurricane, it has become so important that its development and path be predicted as accurately as possible. This allows inhabitants of areas that will be affected to be forewarned. If necessary they can also be evacuated till the hurricane passes. Meteorologists keep a close watch on the Atlantic and Pacific oceans during hurricane season. They collect pictures taken by weather satellites and measure air pressure, temperature and wind speeds. This information is used to forecast where a hurricane will hit and how strong it will be. 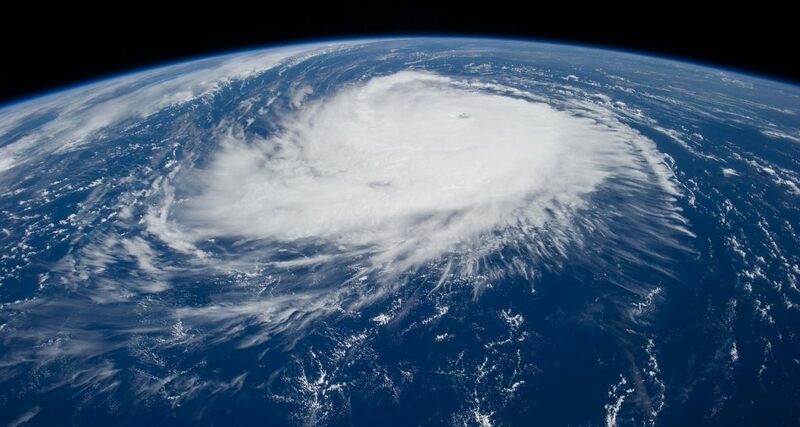 Hurricane storms can be tracked with satellites, aeroplanes and radar. The area’s most commonly affected by hurricanes are all Atlantic and Gulf of Mexico coastal areas, and about 200 km inland, Puerto Rico, The US Virgin Islands, Hawaii, parts of the southwest Pacific coast and US territories in the Pacific. Take flood insurance, whenever possible. Know the route plan marked for the travel and plan ahead for a place to stay. Have a disaster kit ready with flashlight, batteries, cash, first aid supplies, medications and copies of critical personal information. If one plans to stay at home during the course of the storm, plan for adequate supplies for several days. This is because of the likelihood of power outages and shortage of water. It will also be difficult to travel because of the flooded or blocked roads. Turn on the TV or radio and check the weather updates and emergency notifications every half hour. Bring all lightweight objects inside such as patio furniture or trash cans. This is to prevent these objects from becoming projectile in high winds. Objects that are unsafe to bring inside must be anchored as securely as possible. Store adequate food and water supplies. Keep the refrigerator at its maximum cold temperature. Open only when necessary. Even if power is lost, this will keep the temperature cold for a longer time and reduce spoilage of foods. Permanent storm shutters can be used for windows or they can be boarded with plywood. It is important to stay away from windows during the storm as broken glass can cause severe injuries. Plan ahead for any emergency evacuation that may be needed. Keep the car in good working condition and the gas tank full. Keep in touch with family members by calling, texting, and email or via social media. Ensure the mobile phones are fully charged. Even when all personal precautions are taken, keep in touch with the local emergency management teams for local updates. Avoid driving or walking through flood waters as moving flood waters can sweep away people and cars. The water can be electrically charged from underground power lines. Also it is difficult to see dangerous debris or manholes through the water. So watch out for debris and exposed power lines. Keep photographic evidence of damage to personal property to file insurance claims. Thousands of lives are lost in hurricanes and its associated floods. Livelihoods are destroyed and property is damaged. Recovering from a natural disaster comes at a high financial price each time. For all the preparedness, the trauma of going through a natural disaster can still be overwhelming for many. As global warming increases, the strength of hurricanes are also increasing. It is predicted that the frequency can increase up to 11 hurricanes a year. It is important that we tackle global warming together more aggressively. At times like this, when nature releases her force, human resilience is seen at its best. When neighbours and strangers come out to help one another, rebuilding communities and hope, the goodness of man’s heart is evident.